You’ve never seen a Christmas tree quite like this! 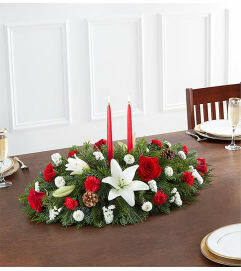 Our best selling holiday arrangement has been a customer favorite for years, especially because of its compact size, which fits perfectly into small spaces. 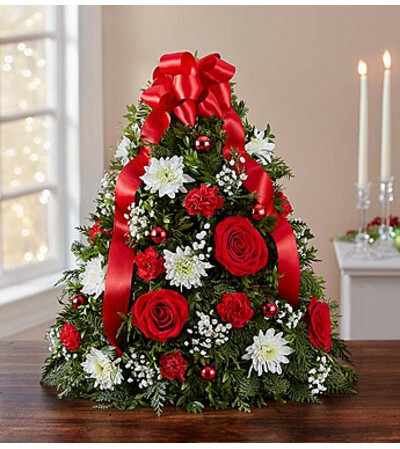 Hand-designed with fragrant mixed greenery, roses, mini carnations and cushion poms, then trimmed with ornaments and a merry red bow on top, this fresh floral twist on a traditional tree makes a one-of-a-kind gift for family & friends… or for your own home!